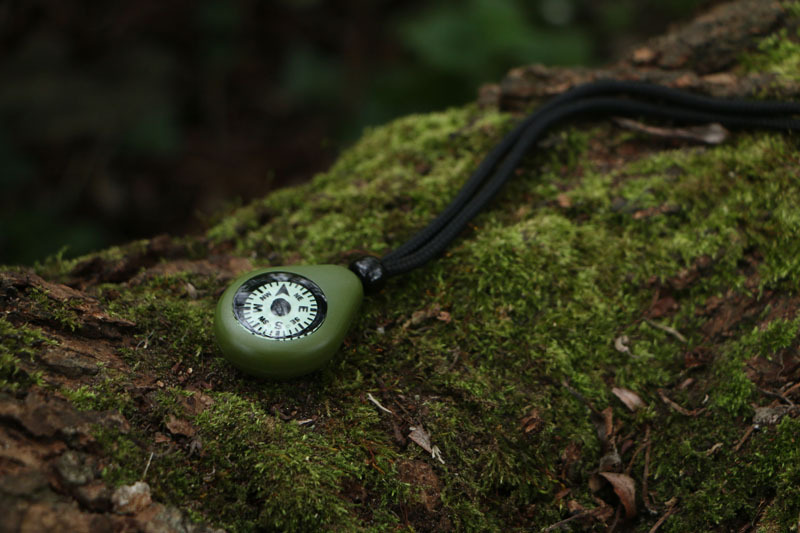 Rugged and reliable navigation aid with precision luminous dial. A rugged and reliable navigation aid. Can be used day and night, in all weather conditions. 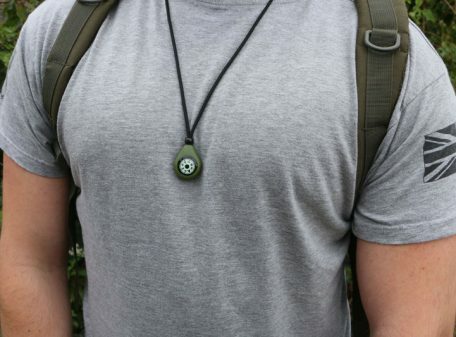 It can be worn easily around the neck to provide quick direction checks whilst on the move. 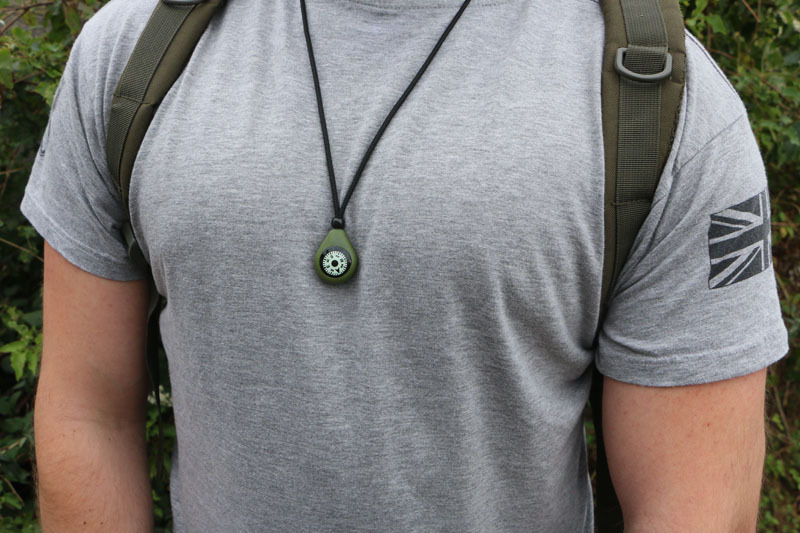 With a lightweight and ergonomic design it can be worn at all times and is almost unnoticeable. Oil and seawater resistant TPU construction ensures the CMP-20 will last under field use. 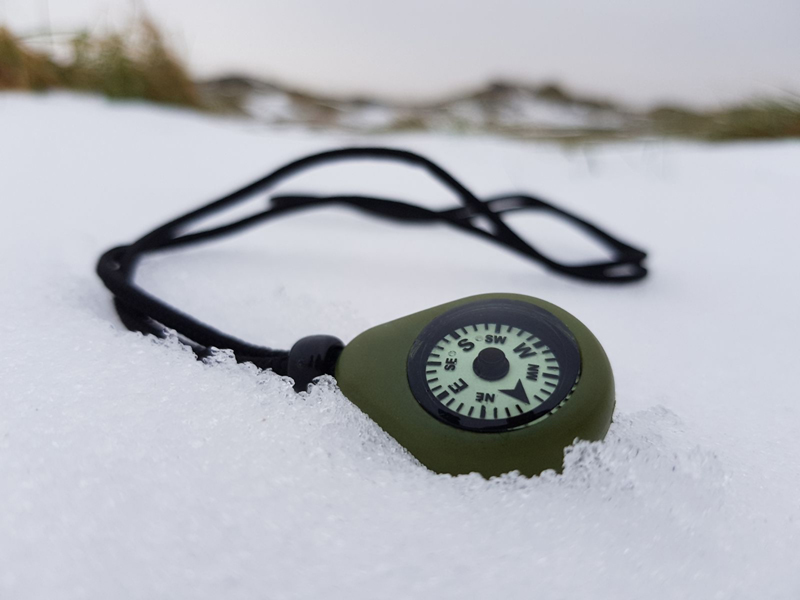 The ideal backup to other, larger navigation devices such as GPS or a lensatic compass, which could fail to work due to flat batteries, extreme conditions or damage. 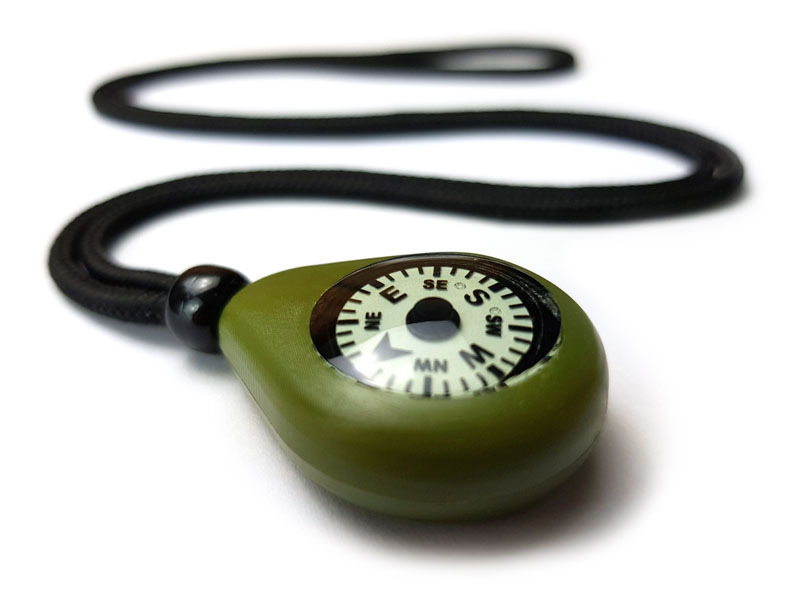 The CMP-20 Compass Necklace is a compact navigation accessory that is designed to keep working when other devices may have failed. Due to its small size, low weight and rounded ergonomic design it can be comfortably carried at all times. 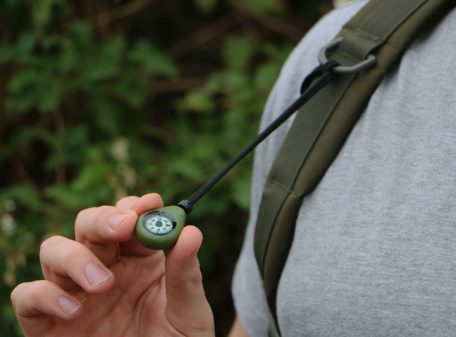 It is ideal for daily wear around the neck, or alternatively it can be attached to your hiking rucksack or jacket; either way it is ideally placed for making quick checks of heading, to make sure you are not off-course. 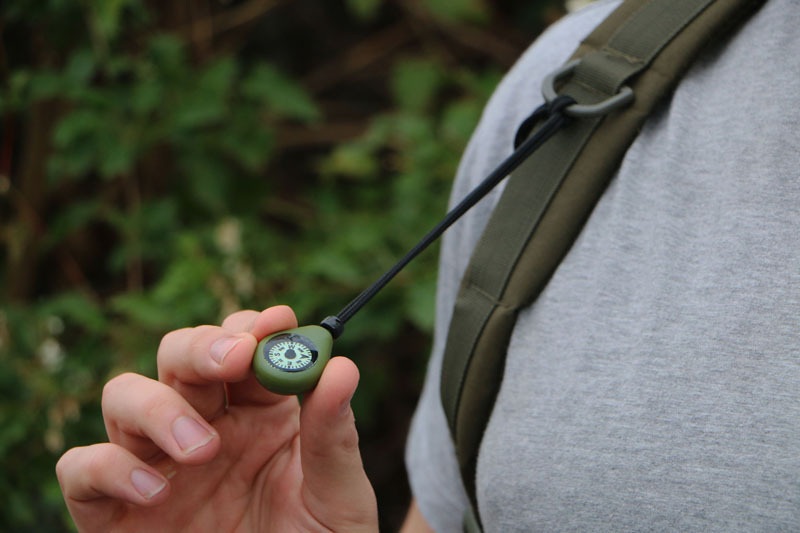 Very accurate for its size, the 20mm diameter compass was specially designed and is a far cry from many other ‘button’ compasses available. It is tough, shockproof and built to GSA-compliant specifications. Equally capable of both day and night navigation thanks to the very best in photoluminescent GITD (glow-in-the-dark) material. 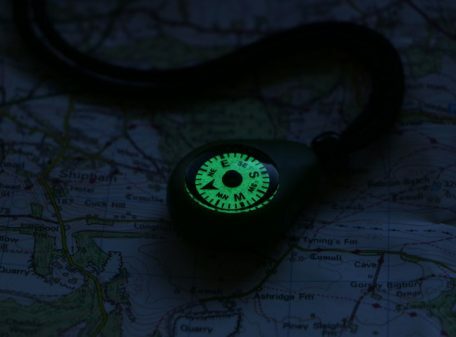 The compass is easily readable in the dark, and just a few seconds of light from a flashlight will ‘recharge’ it. The CMP-20 is extremely durable, with oil and seawater resistant construction. It can be used underwater and at extreme altitudes. Multi-function navigation accessory. 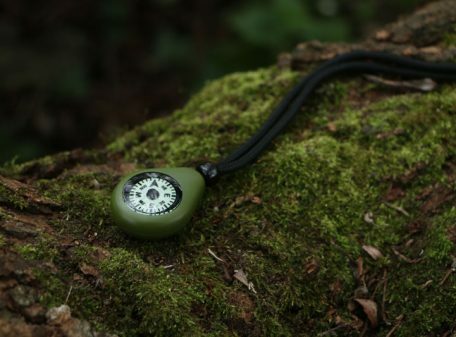 Compass, map illuminator, pace counter and personal marker.